Part of your calling as a Family History Consultant includes sending in a brief monthly report of the members you’ve been able to help during the month. To make this easy, we’ve created the following form for you to use. 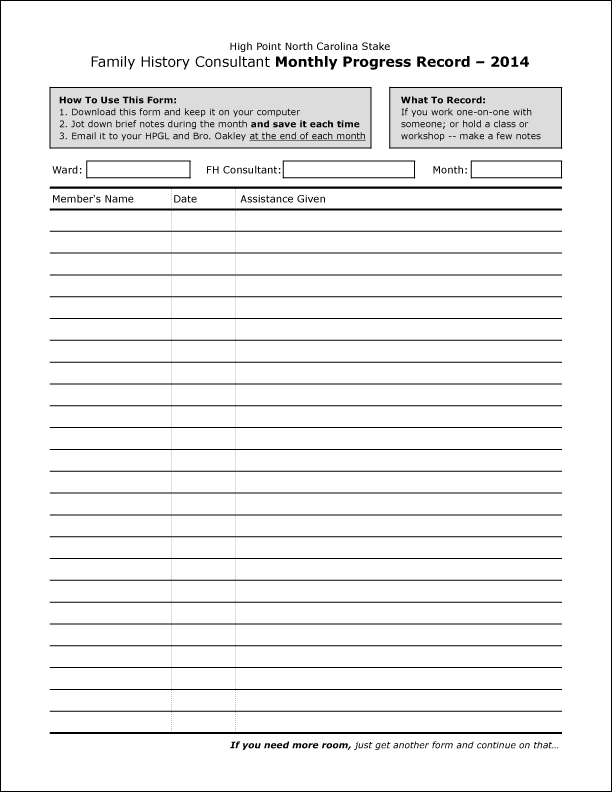 If you work one-on-one with someone; or hold a class or workshop — jot down a few notes. Then, at the end of each month, simply send it to your High Priests Group Leader and to Bro. Stan Oakley on the High Council. Or you can take the same basic information and send it as an email.